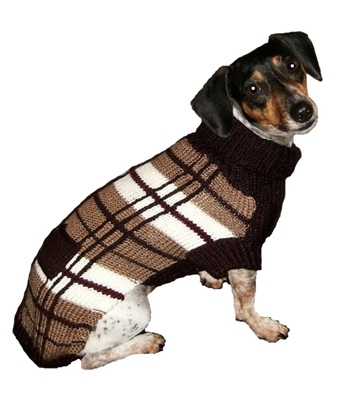 Your pup will be so classy in our Oxford Plaid hand knit sweater. It even has a back pocket for that special bone. These sweaters are 100% acrylic and come in sizes 6"-18". Machine washable. To determine size, measure from the base of the neck to the base of the tail. For dogs with a little more weight or fluff, go up a size.